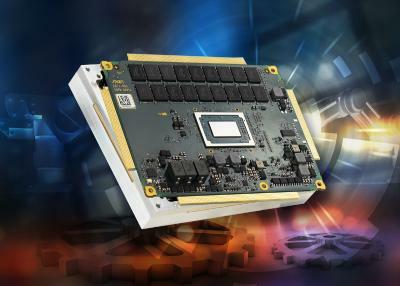 Designed for harsh environmental conditions in mobile markets, MEN's new SC24 single-board computer for display and box computer applications sets new standards in terms of flexibility. All interfaces are led to an extension card, so that custom requirements can be implemented easily and quickly. The main board, featuring an AMD Embedded G-Series processor, remains as it is. "The modular design is qualified and tested by MEN to meet the operating temperatures of -40 to +85°C and prepared for e1 certification. Together with the high graphic performance of the AMD Embedded G-Series it offers an extremely attractive feature set, for example for fleet management systems and for digital signage applications," says Aurelius Wosylus, Director Sales EMEA of AMD's Embedded Business Unit. Equipped with the T52R APU (Accelerated Processing Unit) of AMD's Embedded G-Series, the SC24 single-board computer benefits from the fusion of a low-power CPU and a powerful GPU (AMD Radeon HD 6310). Integrated into a processor unit with clock frequencies up to 1.5 GHz, this solution saves space and power - without any loss in performance. The SC24 was designed for use in multi-display applications and supports up to 2x2 DisplayPort interfaces with a maximum resolution of 2 times 2560x1600 and 2 times 1920x1200 or 4 times 1920x1200 pixels and can control a maximum of two different images on up to four screens. Moreover, the AMD GPU offers integrated 3D graphics and video acceleration. The SC24 comes with 1 to 4 GB DDR3 SDRAM and supports 9 USB 2.0, 2 Ethernet channels, 3 PCI Express, up to 5 serial interfaces (4 UARTs also configurable as IBIS or GPS and 1 CAN), HD audio, 1 SATA and various GPIOs. Together with an option for touch functionality using the AUX output of the DisplayPort, a 2-GB SD card and an mSATA slot, the SC24 is an excellent choice for maintenance-free and modular application in panel PCs or box PCs in all mobile markets with high demands. 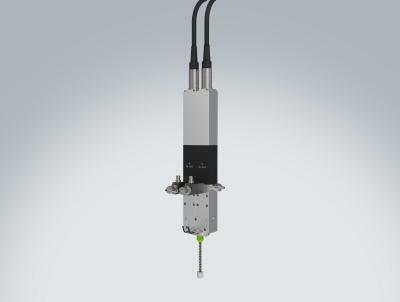 Designed for harsh environments, it tolerates operating temperatures of -40 to +85°C. Based on a completely new modular concept by MEN Mikro Elektronik, the SC24 forms the controlling part of an SBC, while the actual interfaces for graphics and other I/O are led to a matching extension card via three (of four possible) AirMax VS connectors. The first extension card, the AE51, is the first team mate for SC24 from MEN's standard portfolio. 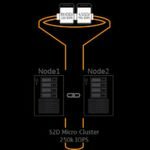 It gives access to 2 PCI Express Mini Card slots as well as 2 DisplayPorts, 2 Gigabit Ethernet ports on M12 connectors, 1 USB 2.0 and optional HD audio. 2 SA-Adapter slots can be populated as needed by UARTs, IBIS or GPS, or CAN bus. The complete solution of SC24 plus AE51 is certified according to EN 50155 and is prepared for e1 certification. Price for SC24 starting from EUR 595 plus VAT for single units. Price for AE51 starting from EUR 295 plus VAT for single units. For product information please go to http://www.men.de/products/08SC24-.html and http://www.men.de/products/08AE51-.html. Embedded Solutions - Rugged Computer Boards and Systems for Harsh, Mobile and Mission-Critical Environments Since its foundation in 1982 our company designs and manufactures failure-safe computer boards and systems for extreme environmental conditions in industrial and safety-critical embedded applications. 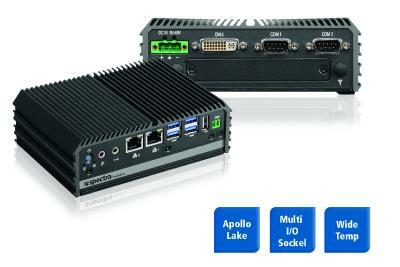 The consistent use of FPGA technology gives us high flexibility when configuring customized and standard products. Our products are used worldwide as control, measuring, test or simulation computers in all kinds of embedded applications. These are extremely safety-critical mobile markets like railway, buses, agricultural machines, commercial vehicles, avionics and shipbuilding as well as other mission-critical applications in industrial automation and medical engineering. Computer systems in such applications are in operation up to 24 hours every day and often need to be available for 10 years and longer. Ideally no failures must occur to avoid costly downtimes of machines or danger to human life. We are certified to EN 9100:2003 (aerospace), IRIS (railway), e1 (road traffic), ISO 9001:2008 (quality management) and ISO 14001:2005 (environmental management) in order to meet the severe quality requirements in critical applications and to offer our customers the highest quality in products and services while considering environmental protection and occupational safety on the basis of a recognized quality management system. Our aim is to constantly improve and to provide the highest technology and innovation level. Our business ethics are determined by the principles of the United Nations' Global Compact Initiative (human rights, labour, environment and anti-corruption).